Search for Current Terrebonne Real Estate Listings Now! Six miles north of Redmond is the town of Terrebonne. The gateway to Smith Rock State Park, real estate in this area ranges from affordable single family homes to amazing estates on acreage built to take in the dramatic views of Smith Rock. 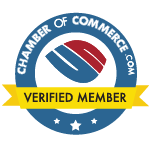 With our easy to use search below, you are just a few clicks away from discovering that perfect place in this picturesque setting for yourself. Read More about living in Terrebonne, Oregon, including popular neighborhoods, schools, lifestyle, and nearby recreational activities. Terrebonne, meaning "good earth," is one of Central Oregon’s smaller towns but its unspoiled beauty with spectacular cliffs, deep river canyons, and creeks is colossal and unrivaled! 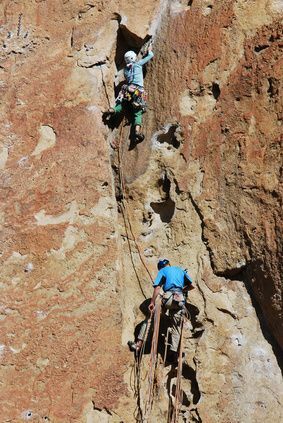 Terrebonne is located east of the Cascade Mountain Range and is home to Smith Rock State Park, the birth place of American rock climbing and draw to rock climbers of all levels worldwide. 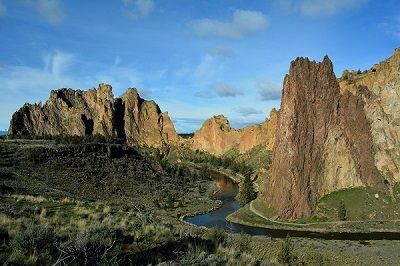 In addition to Smith Rock State Park, Terrebonne is situated close to so many more recreational activities including Lake Billy Chinook, Crooked River Ranch Golf Course, Peter Skene Ogden State Park, and the Central Oregon Sporting Clays and Hunting Preserve. Plus there are two wineries nearby - Maragas Winery and Faith, Hope and Charity Vineyards. Terrebonne is the perfect setting to enjoy spectacular views of Smith Rock and the Cascade Range, and can be your playground for rock climbing, mountain biking, boating, camping, and so much more! Just west of Smith Rock lies the Ranch at the Canyons in which are located beautiful million dollar homes on acreage property with stunning views. The Ranch has its own vineyard named after the most famous Smith Rock, Monkey Face, and 1,700 acres of mutual common area as well as its own horse facilities. This neighborhood is unparalleled for someone wanting the luxury lifestyle of resort living as well as the privacy this community offers. Another wonderful neighborhood for someone wanting acreage without restrictive CC&Rs is Lower Bridge Estates. Homes in this neighborhood provide for privacy, acreage, opportunity for farm life, and often fabulous views of the Cascades. Homeowners here enjoy acres of peace and quiet and a beautiful drive over the Crooked River and through the hillsides. Terrebonne is no stranger to acreage and another popular area is Crooked River Ranch which offers homeowners a variety of housing options, close proximity to Steel Head Falls, and lots of space for horses, chickens, and owners' favorite toys. Steel Head Falls has wonderful swimming opportunities, hiking, and fishing and homeowners in Crooked River Ranch are within minutes of this beautiful area. Terrebonne is a small community with it's own K-8 school with a total enrollment of 412 students. There are 15 teachers, 29 support staff and their mascot is the Cougars. Average class size at this school is 26. On the most recent ODE Report Card, Terrebonne Community School ranked outstanding, improving over the satisfactory ranking of the last 5 years. Terrebonne students also have the option of attending Elton Gregory Middle School and for high school students attend Redmond High.